My family had to stop me from washi taping the whole house! Just Like Mod Podge, washi tape can create miracles. Now you already know from my Kaderique Handmade Jewelry line, I love colors and patterns. So what is it exactly? Well, it is a simple pretty adhesive roll of paper tape. "It is typically made from natural fibers, such as bamboo or hemp, but most commonly from the bark of trees that are native to Japan" (source link). I always say Craft/DIY projects, are all about a little bit of imagination. Use washi tape on your nails instead of paying extra for a design at the nail salon! I seal mine with clear nail polish. Sure, it might not last a whole week, but it sure looks good and is fun to wear don't you think? Have a blank wall somewhere in your space and don't want or cannot nail in picture frames Solution: washi tape! It's just like painter's tape. It adheres to any surface and comes off very easily without any damage. One of my favorite ways to spruce up my picture frames, guess? yes...washi tape! LOL Use the mounting paper that the frame comes with and flip it over. 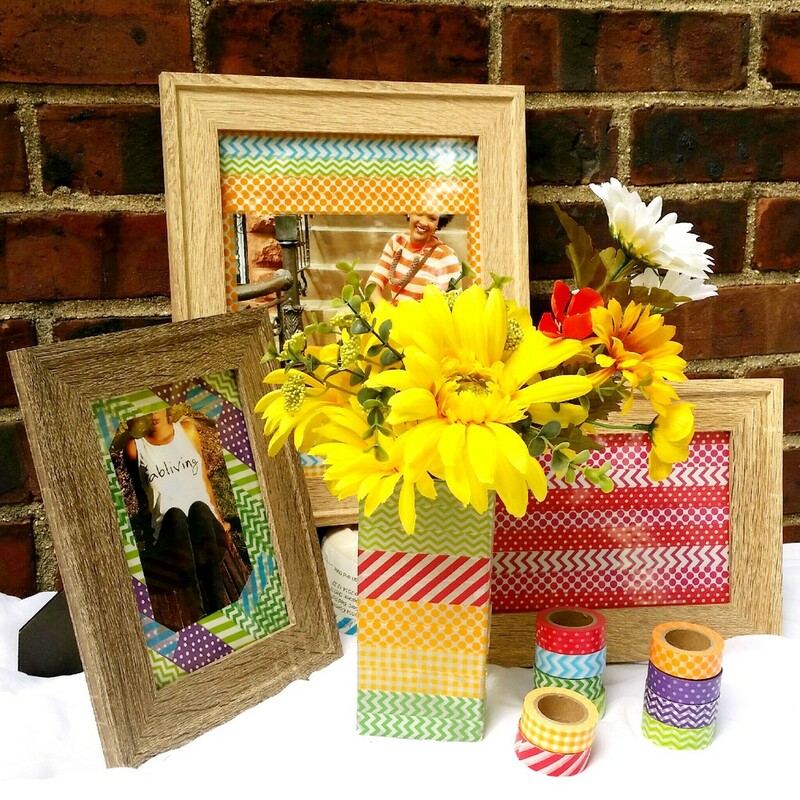 Put your photo and washi tape it all over! You can create any pattern, style you desire. There are no rules with washi tape. I even created one frame without any picture. I think it looks pretty cool. Oh and yes, remember I said it adheres to any surface? Check out this dollar store vase I washi taped all over. I love this idea of decorating with washi tape. It adds color and character to the space. You can find it at any craft store. The price is very good too. Sorry I am not done. Remember how I told you my family had to stop me from washi taping the whole house? Well now you know why. You see right!? I put that tape on my car keys! Cute right?! Washi tape is pretty cool. I love it on my business cards. You can put it on notebooks and many other stationery items.